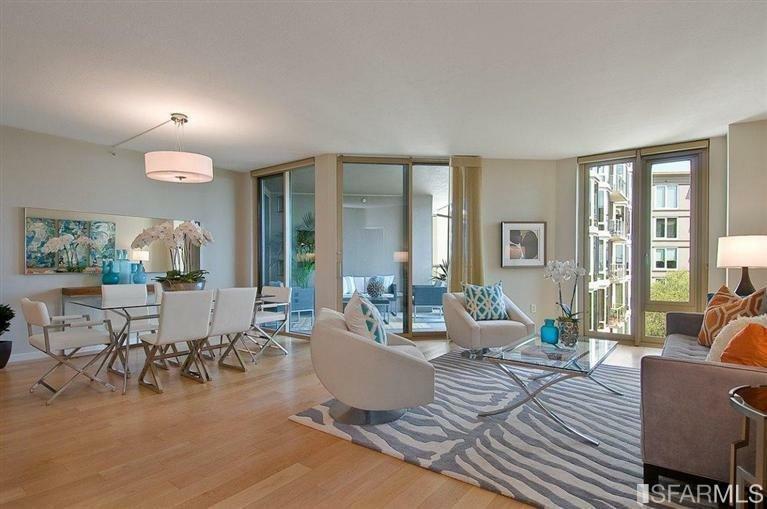 Luxury living in South Beach! 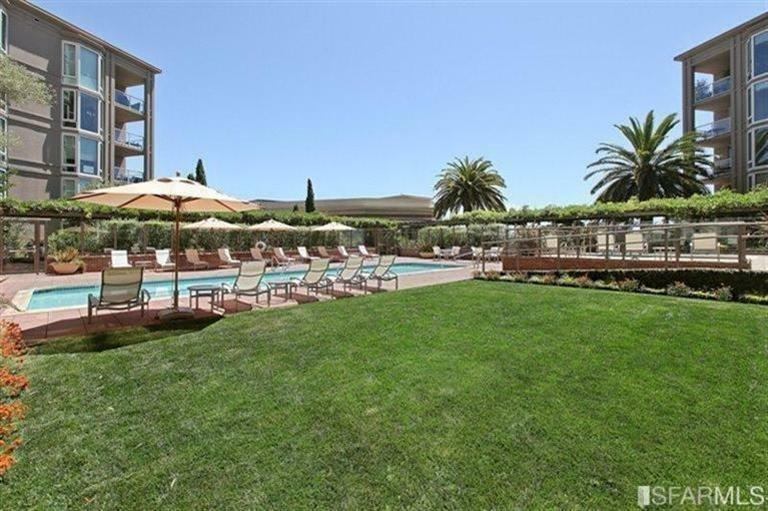 THE TOWERS, a resort-style, full amenities bldg. 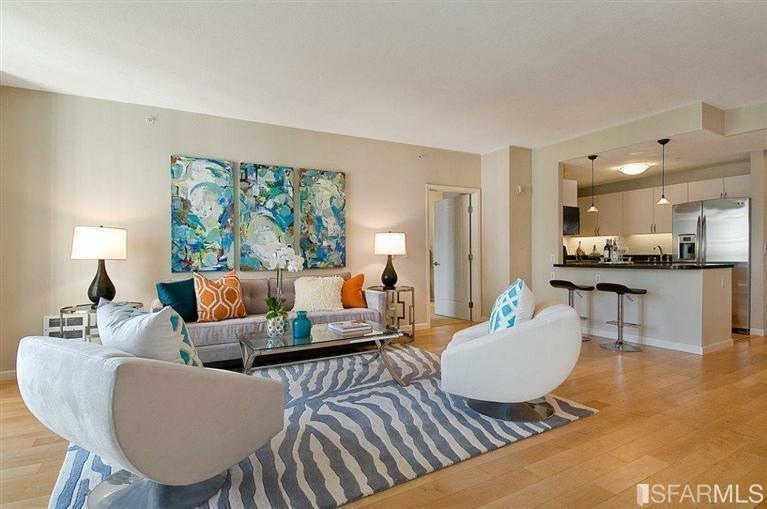 Desirable flr plan w/separated 2-bdrm, 2-bath. 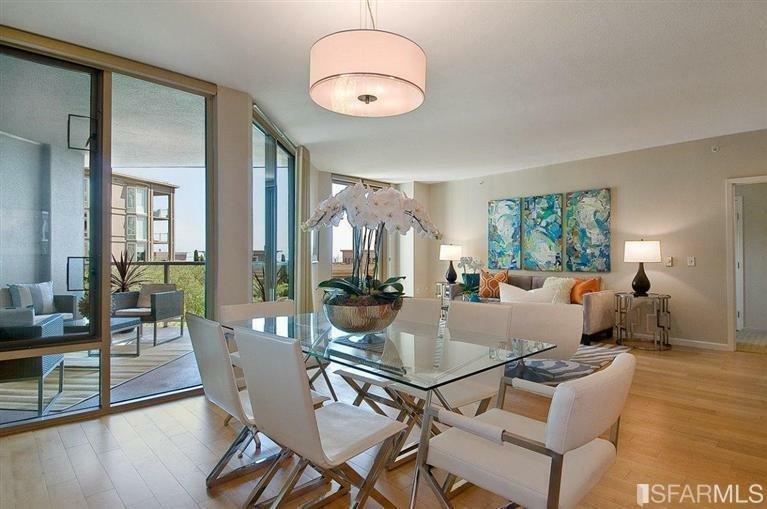 Spacious open living/dining area. 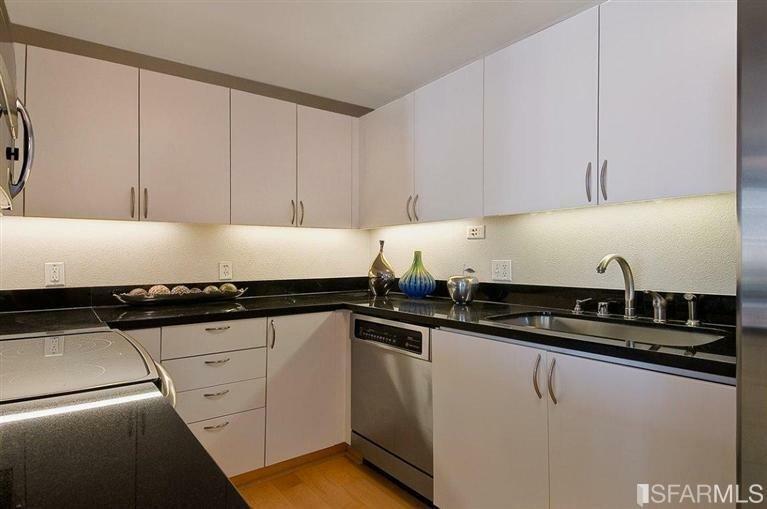 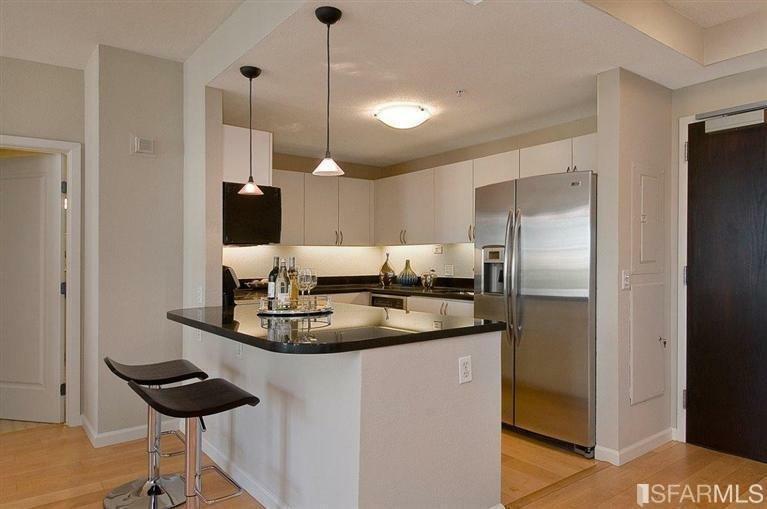 Kitchen features upgraded s/s appl’s & handsome granite peninsula. 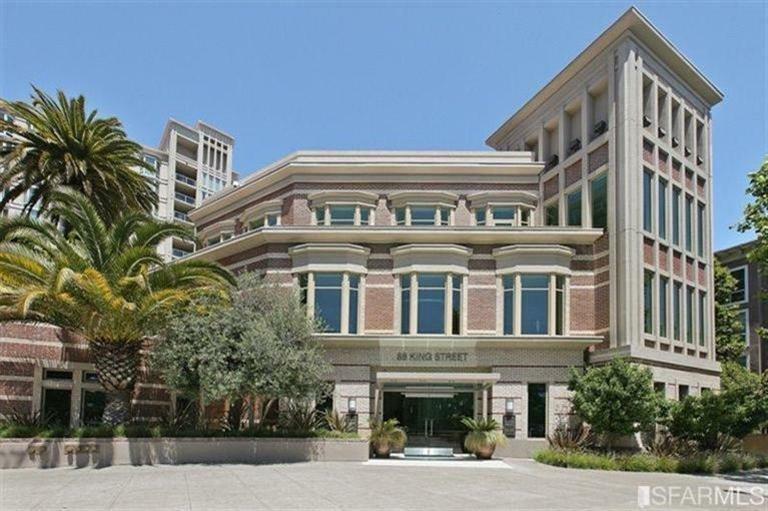 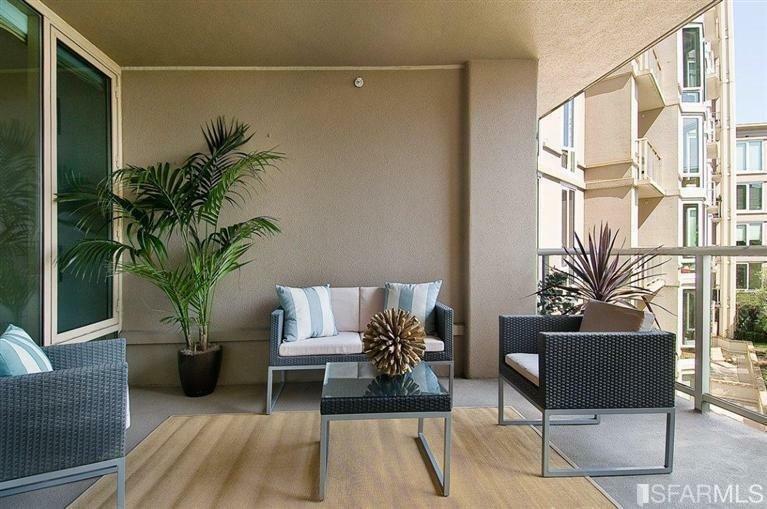 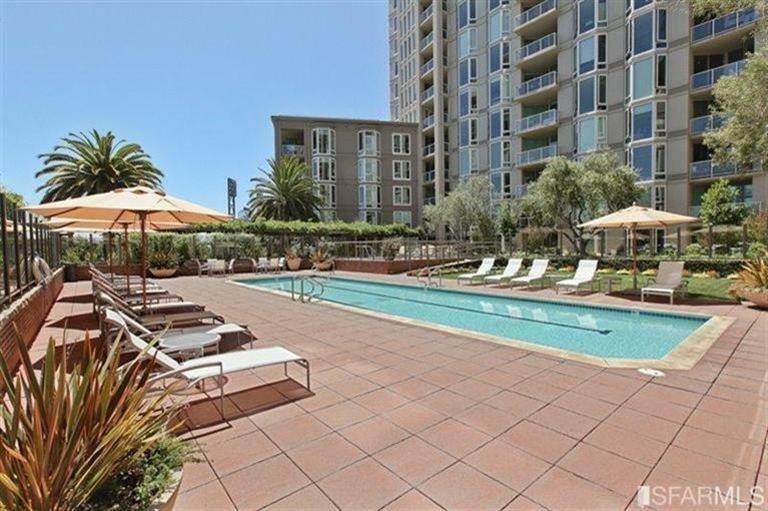 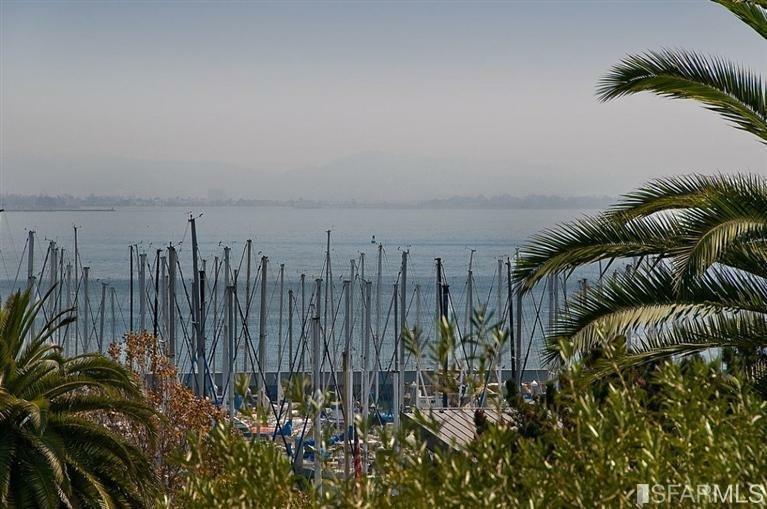 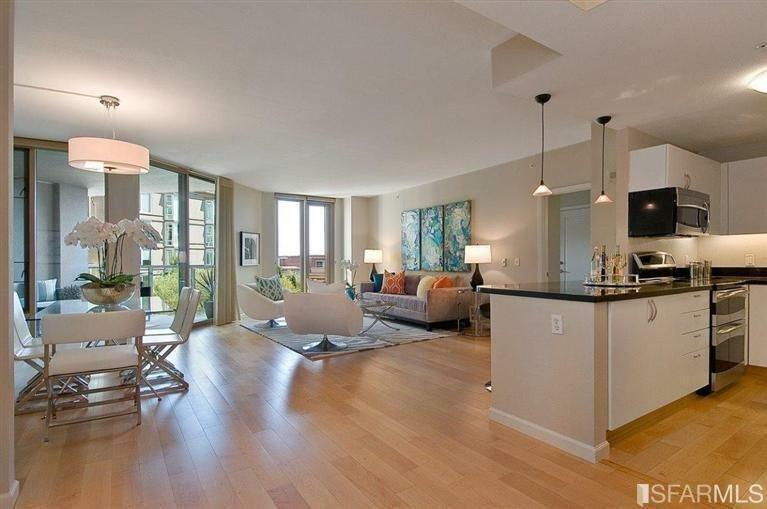 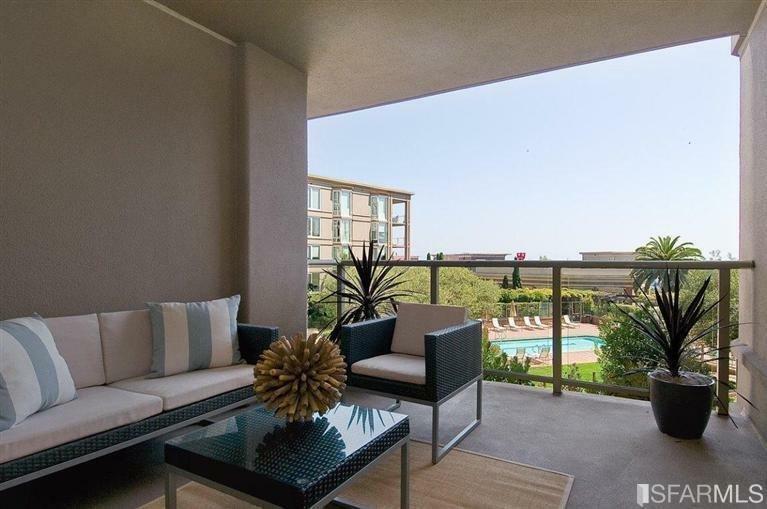 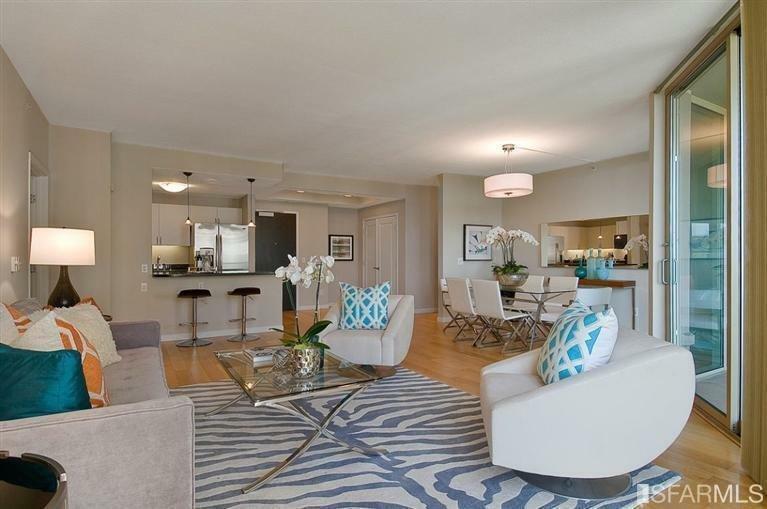 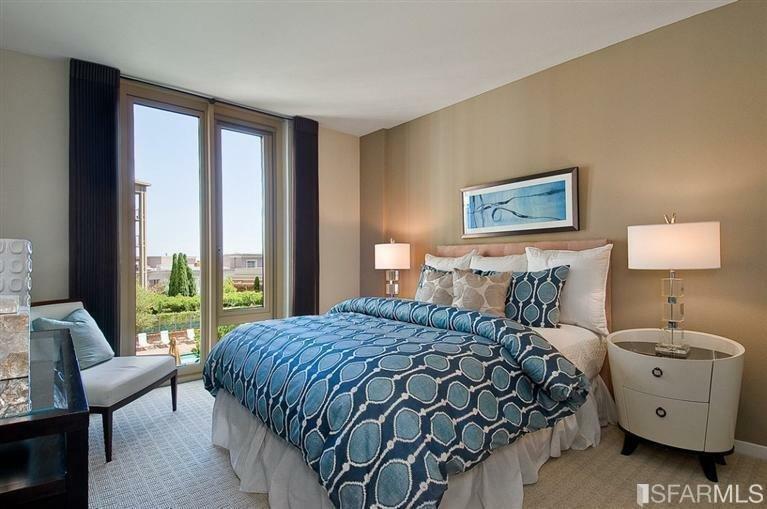 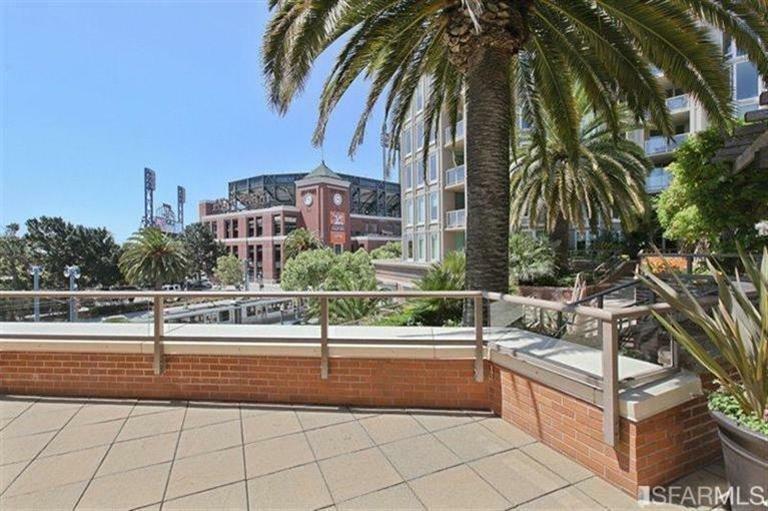 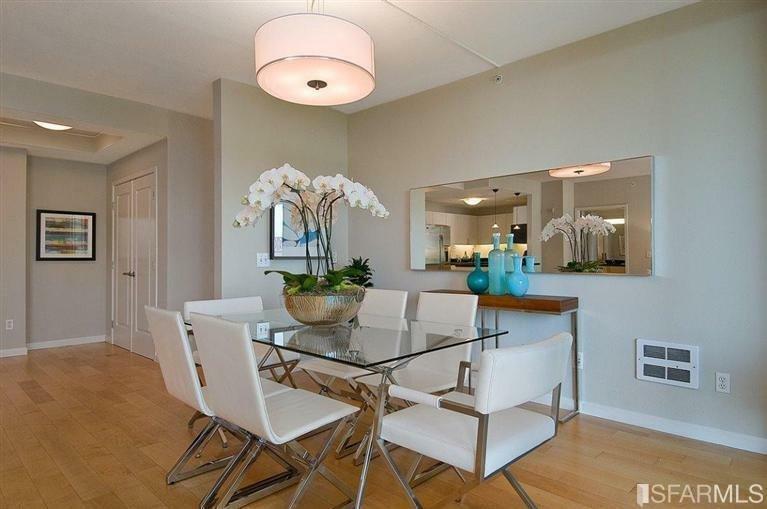 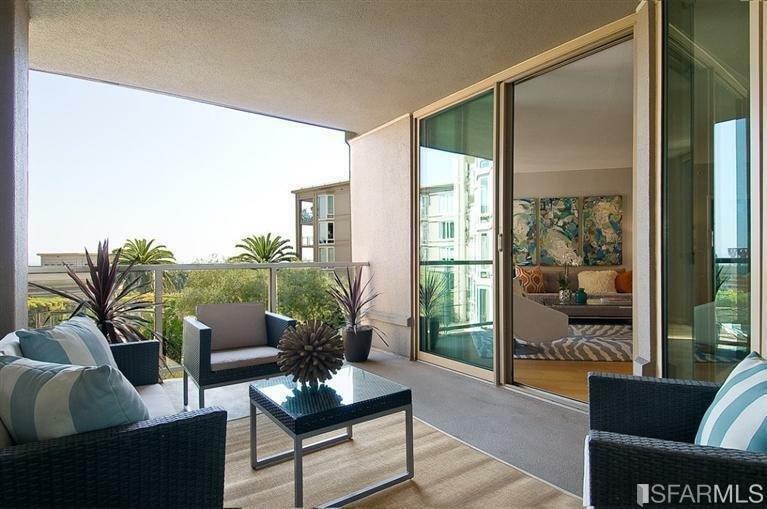 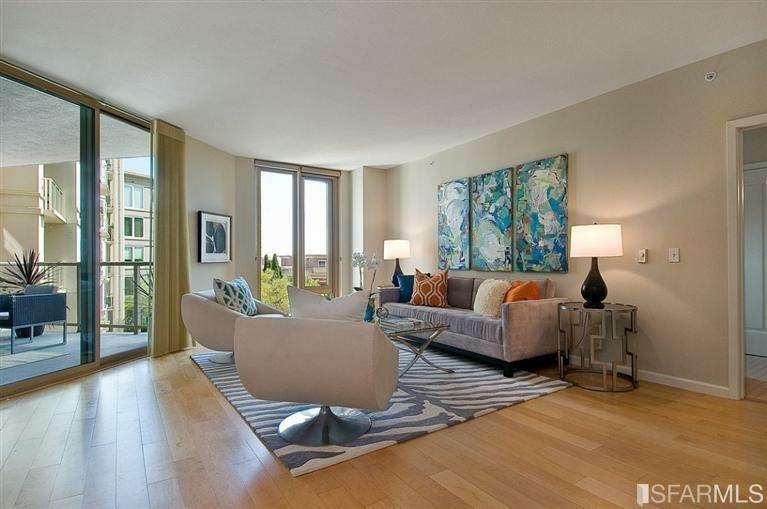 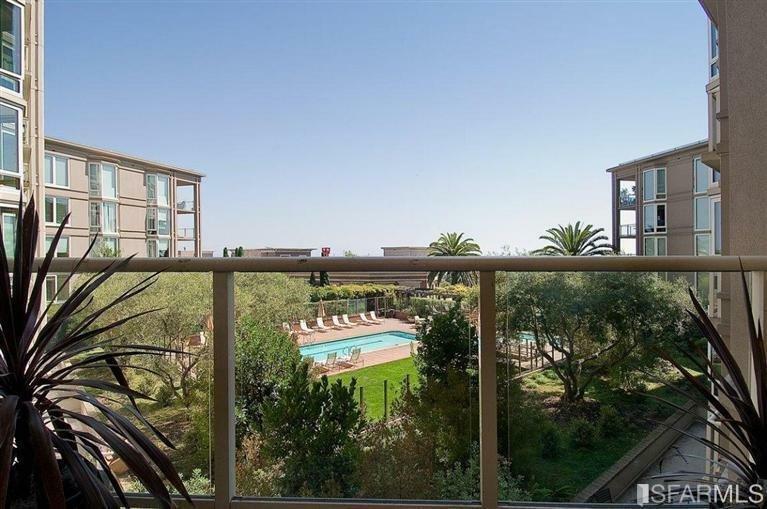 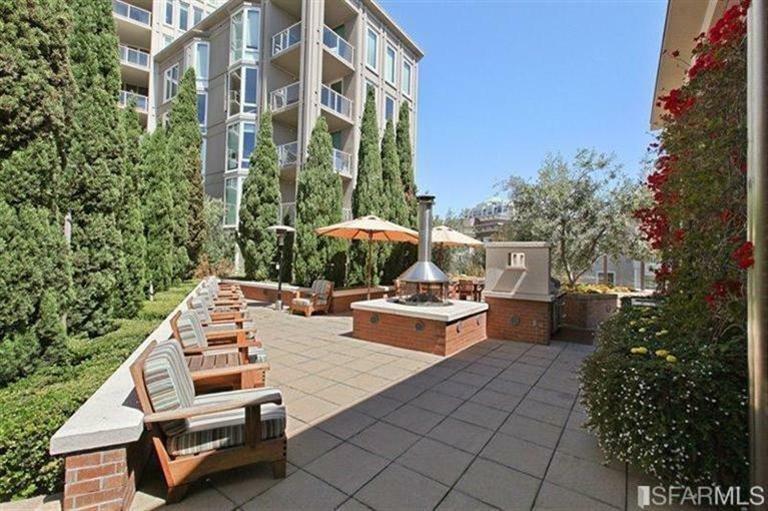 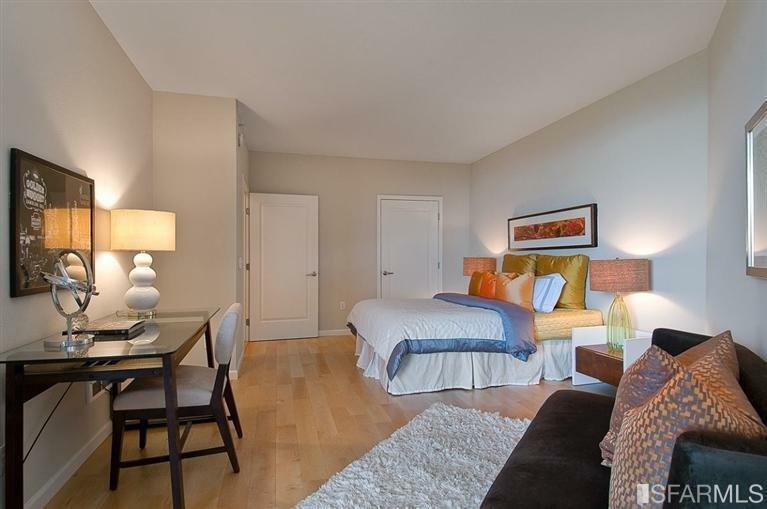 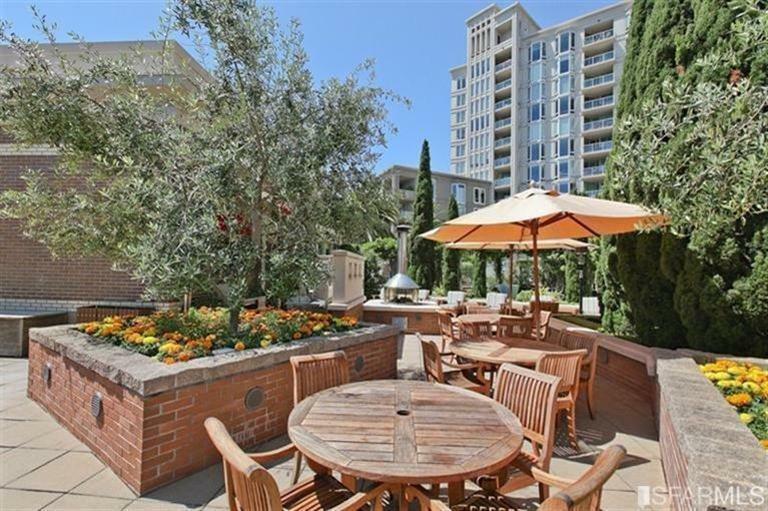 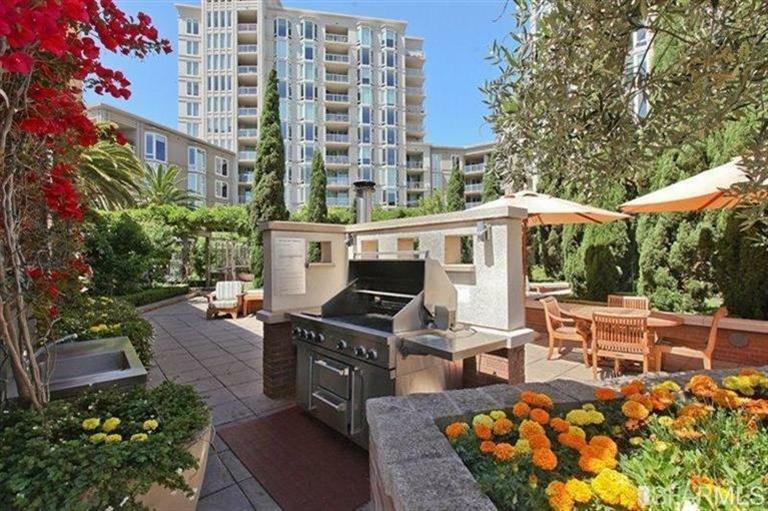 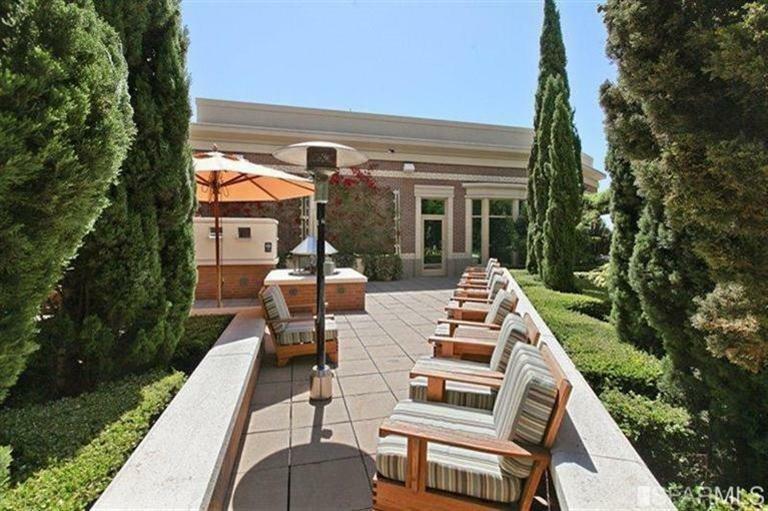 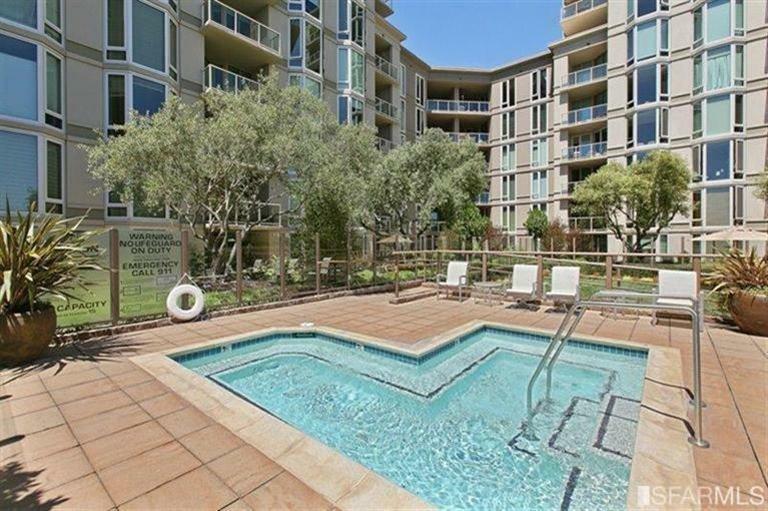 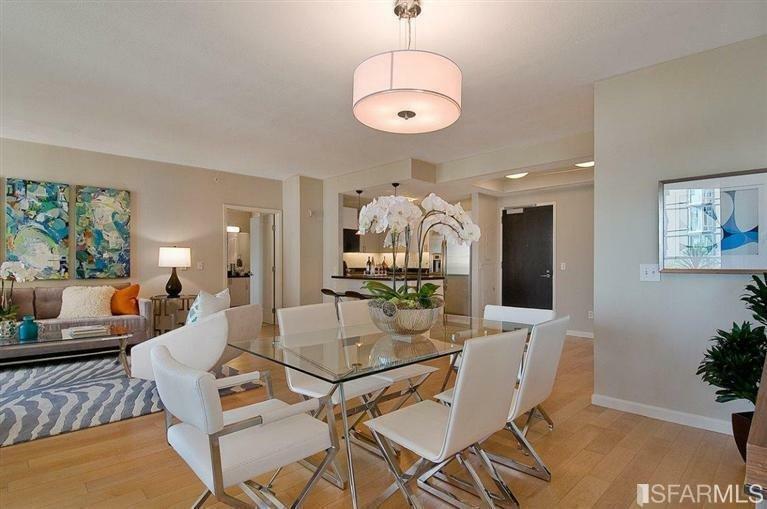 The condo showcases light hdwd flrs & a lovely, large terrace overlooking the lush pool & out onto the East Bay hills. 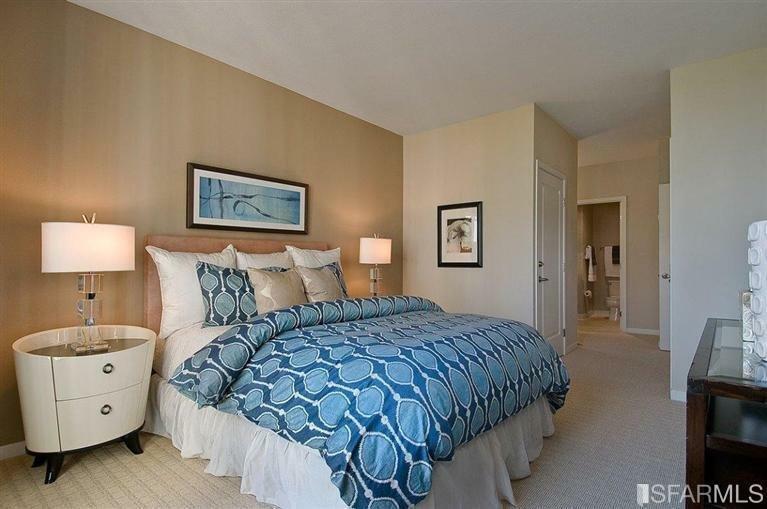 En suite master enjoys ample closet space. 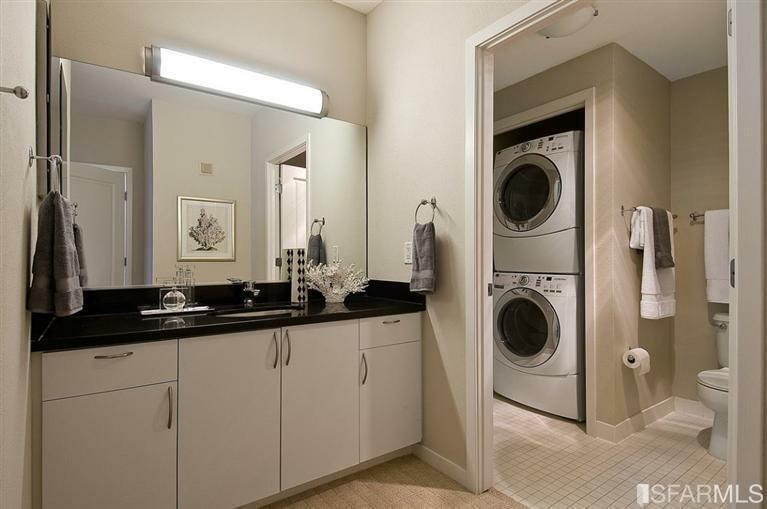 Washer/dryer are in this bath w/shower-over-tub. 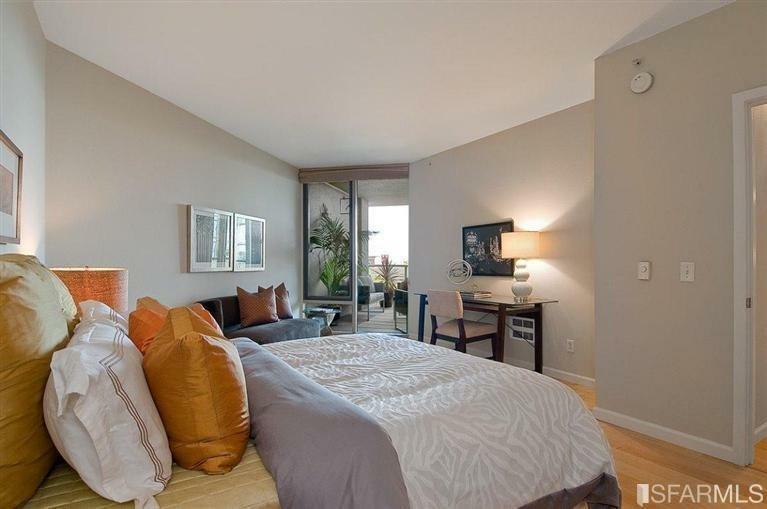 The large second bdrm overlooks the bright terrace. 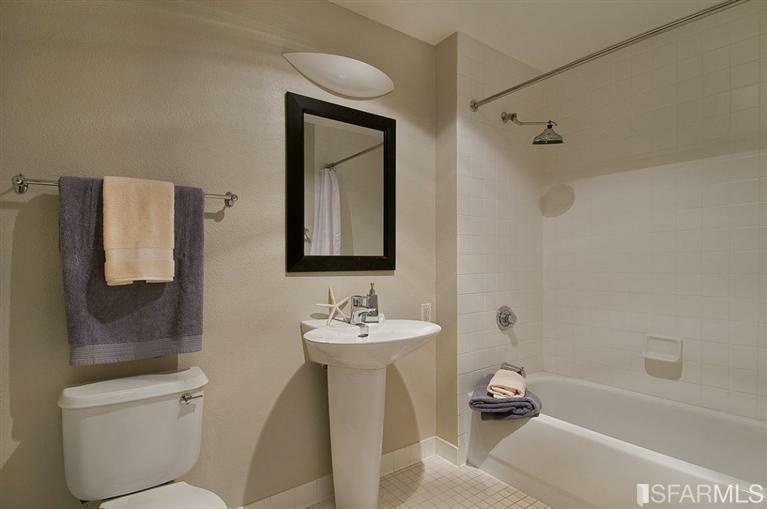 Second bath also has shower-over-tub. 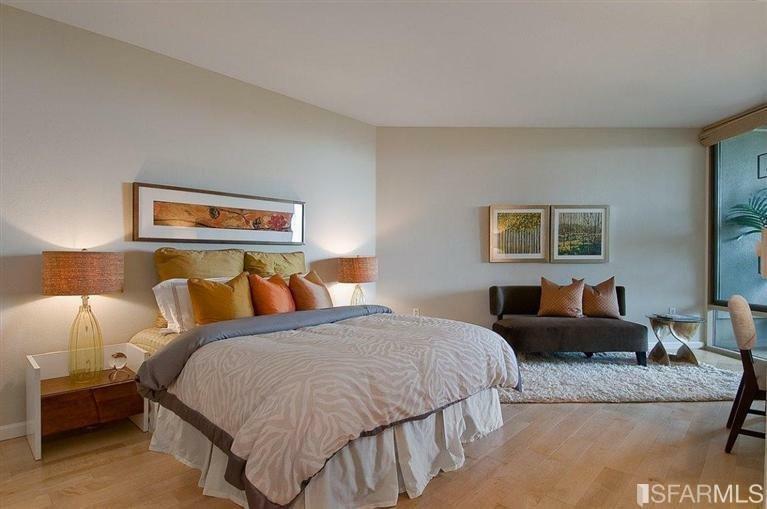 Newly carpeted master bdrm & freshly painted. 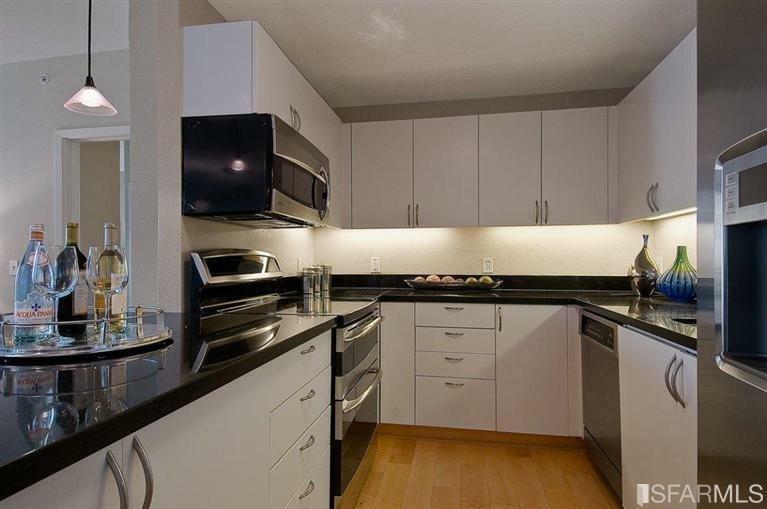 One-car garage parking and storage locker. 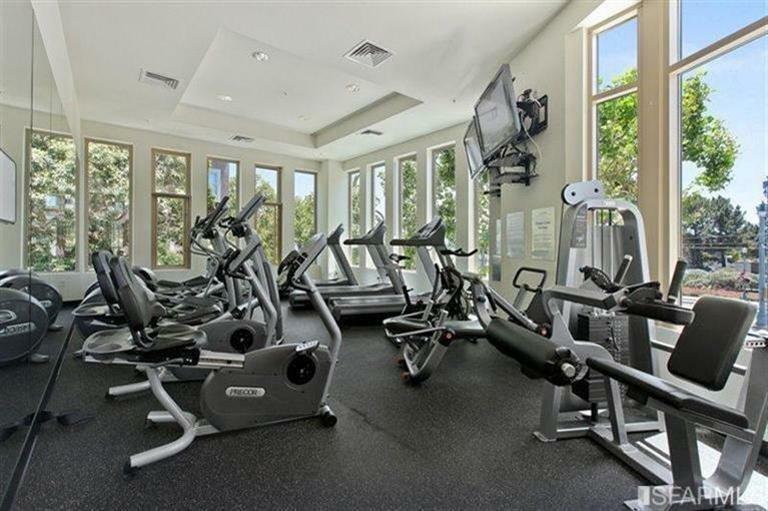 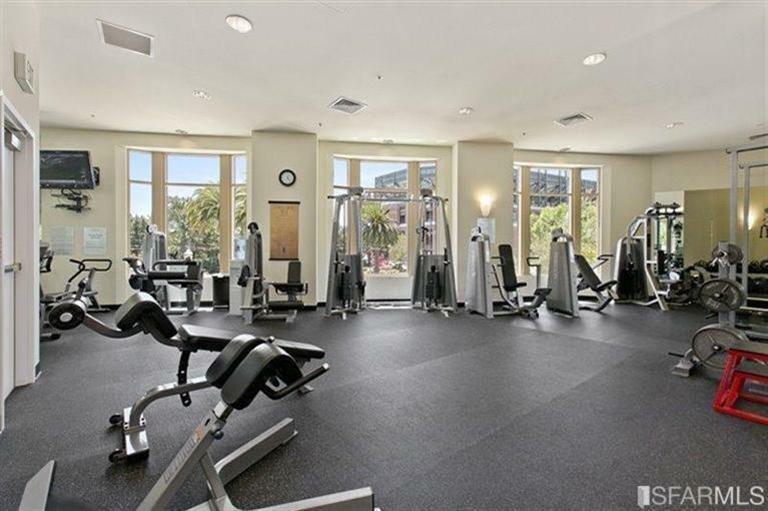 Full service amenities include: 24/7 front desk, onsite Mgt, pool/spa, fitness room, BBQ, kitchen & lounge area, gardens and more!